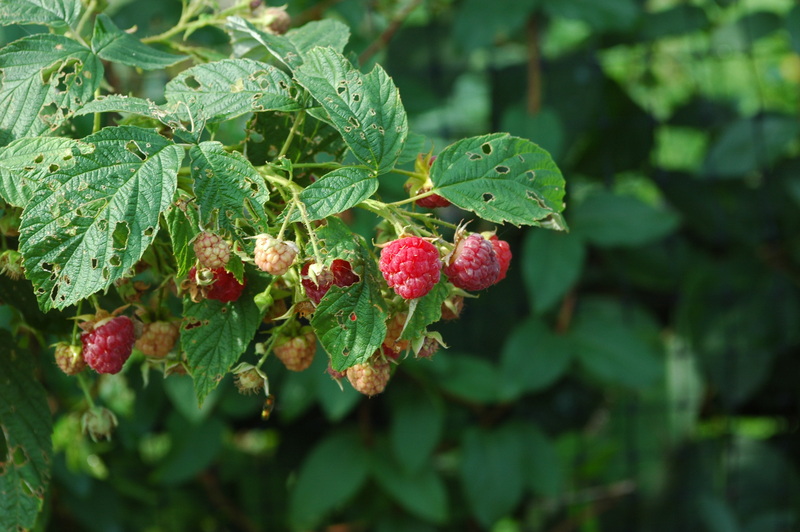 Red Raspberry: The fruiting lunatic! When I bought my 11 acre farm I got into trouble with all the free space. When I went to order some red raspberries, I discovered they were very cheap and I accidentally ordered 300. Well, that made for three very long rows of red raspberries. And, they just dumped out the fruit, year and year. This is one productive plant. The only problem is they are very time consuming to pick, and once you pick them, you have to think really hard as to what to do with them. 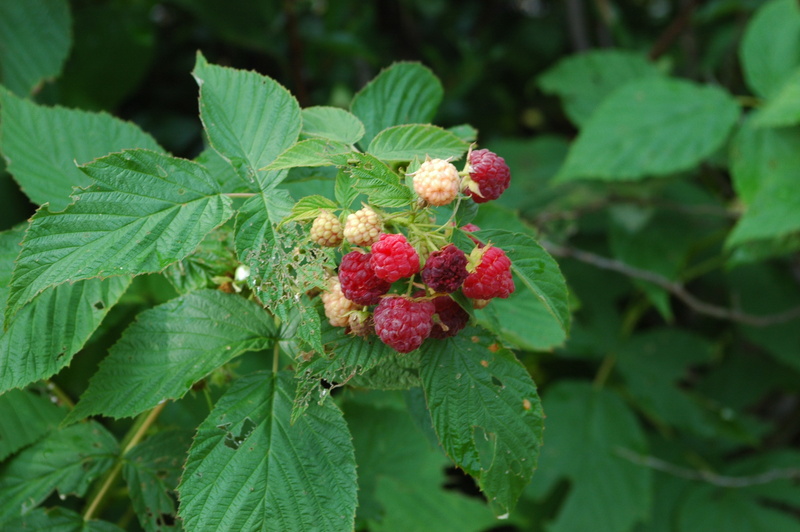 Red Raspberries are from the rose family and have a rose like blossom. The flower is quickly followed by the fruit. 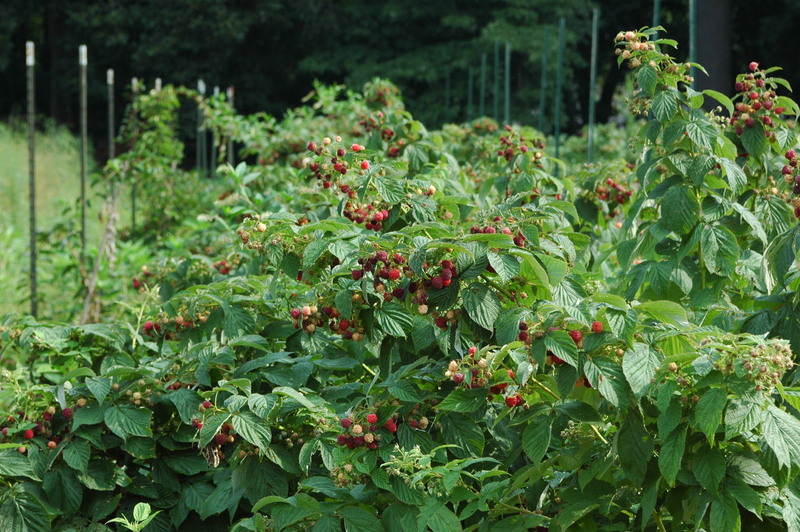 Red Raspberries are native to Asia but they do really well in North America. They are highly desirable, easy to grow, and they really sell out at the farmers market. If you want to produce some of your own fruit, this is an easy one to start with and a real crowd pleaser. I tend to do a lot of my own learn the hard way experimentation. Such was the case with the red raspberries. They grew for years and years, and then one year they just died. When I talk to the nursery company I got them from, Nourse Nursery, I learned that after a while a virus gets them and they just die. And you have to start over in a new spot. As in, not where they were growing. Live and learn.